AC Milan striker Gonzalo Higuain has AGREED to join Chelsea, according to sources in Spain. Marca says the deal will be completed in the next few hours, with the 31-year-old becoming the London club's second signing of the transfer window after Christain Pulisic. Higuain's arrival will signal the departure of Alvaro Morata - with Sevilla keen on the Spaniard. 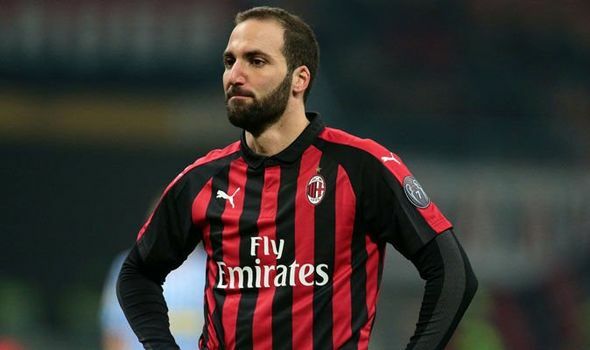 Higuain has been on loan at AC Milan from Juventus but has not hit form this season and Chelsea are prepared to pay his €40m transfer fee as well as his €8m (N3bn) year wages. Maurizio Sarri is keen to reunite with the Argentine international after they enjoyed a productive spell together at Napoli, where the former Real Madrid man netted 37 goals.